The ABCC magazine is the four times per year publication which keeps all ABCC coaches up to date with the latest thinking on cycle coaching. It also carries reviews of the latest books and scientific papers on the subject. Since the purpose of “Cycle Coaching” is to improve riders performance it has been decided to allow anyone to subscribe to “Cycle Coaching” without needing to be a member of ABCC. ABCC members can access the back catalogue of the magazine in ABCC members only area. 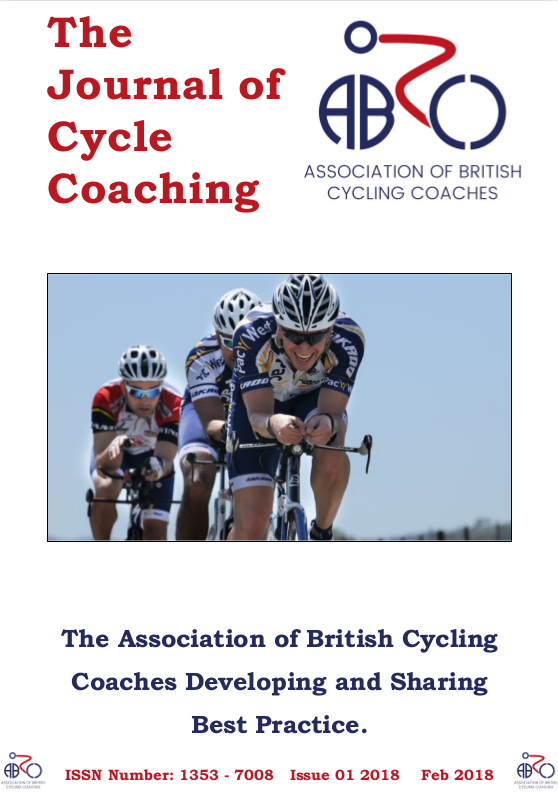 Online annual purchase of the Journal of Cycle Coaching is currently under development and will be available shortly. In the meantime please contact us.